Enter to win a handcrafted picnic table. At Cornerstone, our top priority is always to ensure we are a good fit with each and every one of our clients. Book a consult to learn about the Cornerstone advantage today. "I’m a self-confessed detail fanatic and my customers hire me based on my reputation for producing homes with exceptional fit and finish. I heard about Cornerstone Timberframes a few years ago and had the opportunity to visit them at a frame raising a few hours away. 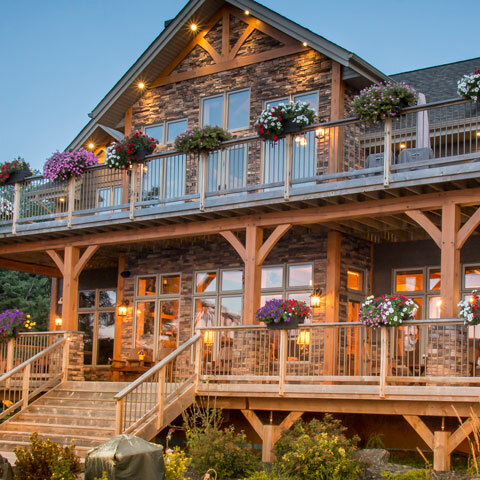 At the time I thought I knew a fair bit about this type of construction, having previous experience with both log and timber frame homes. The day spent with these gentlemen was full of insights into amazing methods and timber connection details that I had never seen before. 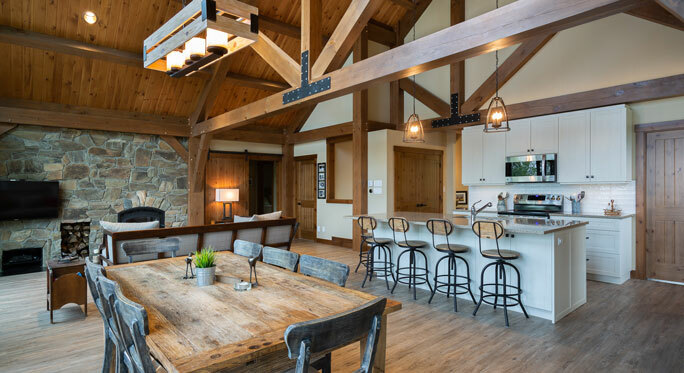 Today, I encourage all of my customers to consider including timber frame in their home designs. And when I take a client to see a Cornerstone project I don’t have to say a word because the work speaks for itself. I’m proud to be associated with a company that upholds the same ideals of craftsmanship and service that I’ve built my reputation on." 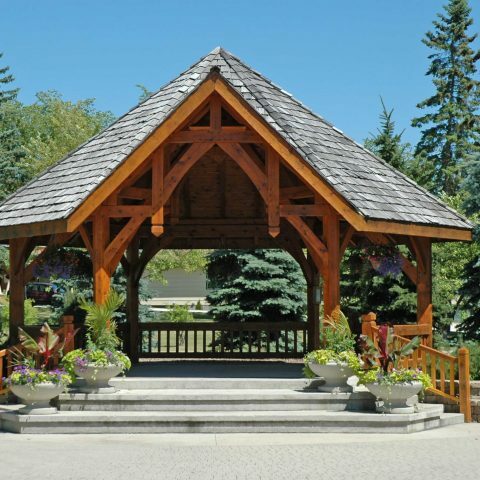 "Cornerstone Timberframes built us a magnificent frame, on time and on budget. Many trades contributed to our project and the folks at Cornerstone were far and away the easiest to work with. Their crew was the most friendly and respectful bunch of young men I’ve seen on a construction site. So when it came time to build our pool house and pergola we knew that Cornerstone would have to be at the center of the build. We are delighted with our home and poolside buildings and will continue to recommend Cornerstone to everyone we know." 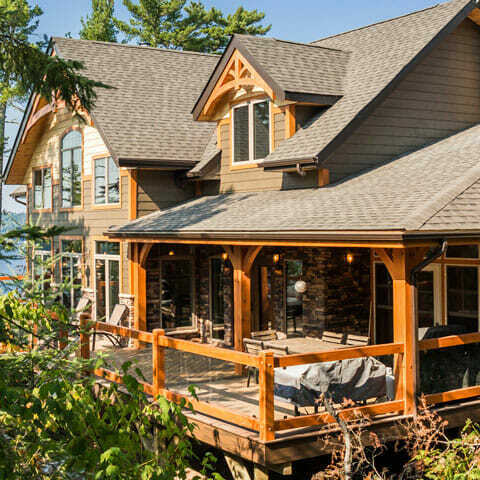 "We always dreamed that our final home would be a log or timber home close to where our family vacationed for over twenty years. Soon after meeting the Cornerstone boys at a tradeshow we knew we were talking to the right people. They listened to us and understood what we wanted. Our phone calls and emails always received quick and friendly replies. And most importantly, they delivered and raised the frame when they said they would and at the price they had quoted almost a year earlier. 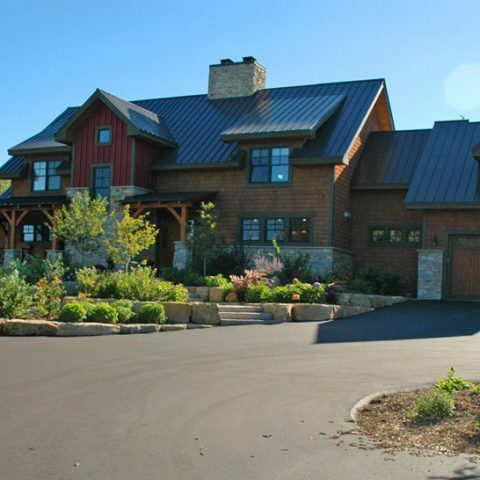 The beauty of our timber frame home continues to amaze us!" "Working side by side with cornerstone was an extraordinary experience. Their workmanship never fell short of stunning! When dealing with any of their employees, they made you feel like you were part of the Cornerstone family."